The dead will rise again, so be ready to follow suit with this officially licensed Walking Dead Decomposed Zombie teen costume. 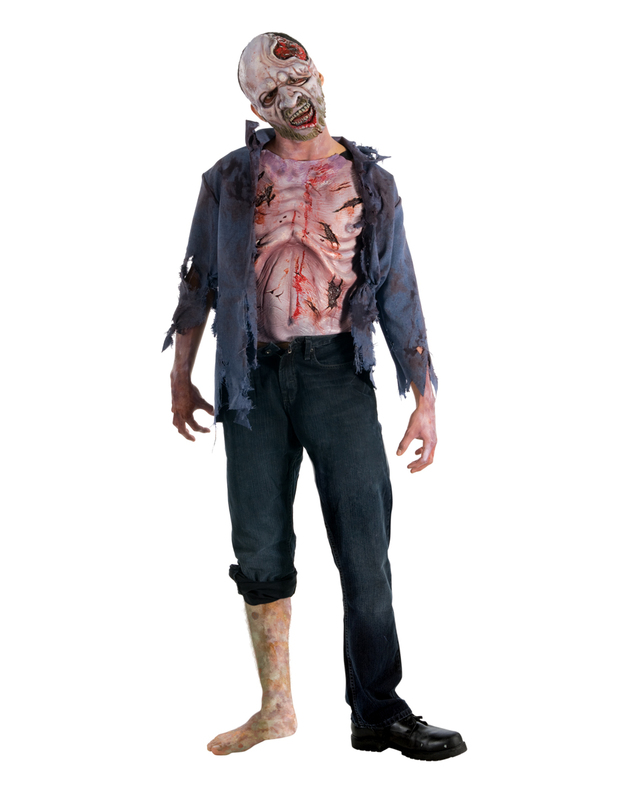 The tattered blue shirt of this zombie costume features an attached molded rotting chest and a matching mask. Get your very own Walking Dead Decomposed Zombie Teen Costume or view more of the Best Walking Dead Costumes, Props, & Decorations right now!